Ordering for more than 1,5 years now. The quality was everytime excellent. Shipping Time to Germany is a joke, maybe 3 days or less. Best Shop in europe! Impressive Strain. I use it mainly to relax after work and as an analgesic. At higher doses (>= 5g) the sedative effects become very strong. 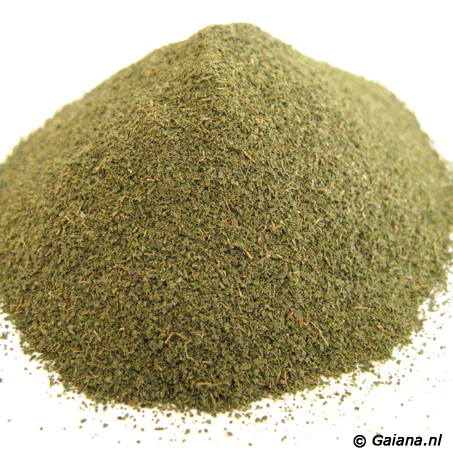 For me this kratom is very similar to Red Thai, maybe little less energetic. Great strain. Very nice batch/strain at the moment. Potency is 8/10. This is an excellent strain. Being a recent transplant to Europe, this is as good as anything I’ve bought in the United States. I also appreciate that Gaiana resent my order after the deliver company was unable to get it to me initially. Gaiana quickly responded to my emails and made sure that I was able to pick it up when they sent it again. I am full surprised to how good this kratom is. I was skeptical at first but after recieveing my first ever kilo of kratom, I am now a fan. i have useD more common pain medication everyday for some years, and i recieve THE SAME analgesia, sedation and euphoria with kratom. Very potent and long lasting strain! Its mostly sedating, relaxing and also euphoric. Definitely one of my new favorites. In general the Shop is highly recommendable. They always send off orders fast and the customer service is very friendly and helpful. RED KRATOM IS THE BEST! Effet ressenti déjà avec 3g ! Franchement génial, je ne pourrais plus m’en passé! Merci Gaiana ! Gros bisous à vous ! contains more stems and veins compared to their red Thai strain, very relaxing even at lower doses. Very efficient at eliminating pain at higher does. Working from home – 5g of this has me focused and relaxed. Very smooth, very clean.